Istok Church Supplies is a proud supplier of all kinds of high quality Orthodox Christian church vestments including Holy Table vestments. Our floor-touching black-gold Holy Table vestments feature traditional designs and are made from luxurious church fabrics. They are available at surprisingly affordable prices with numerous customization options. A fully draped Holy Table is an important part of Orthodox Christian liturgical worship. 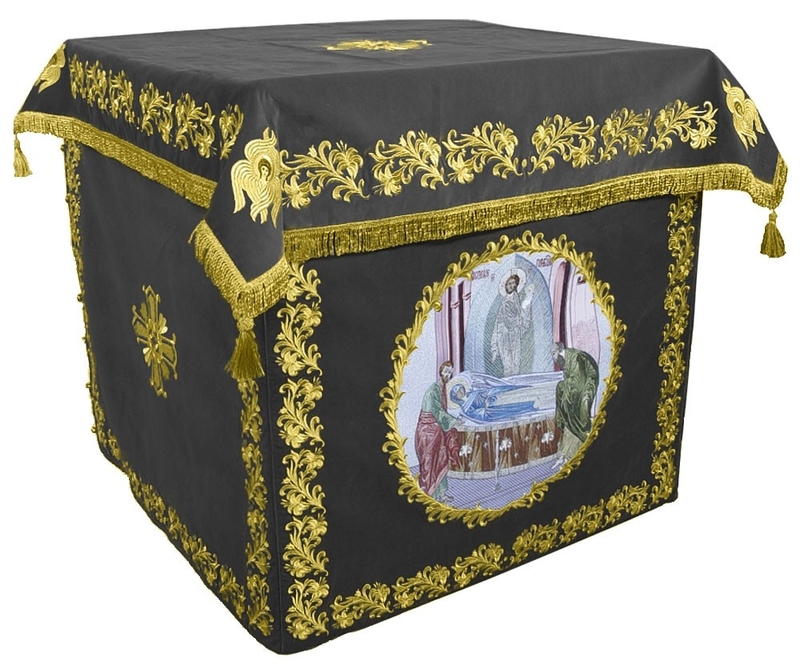 A resplendent black-gold Holy Table vestment is the right choice for the first week of Lent. We offer these vestments in fabulous material options such as economic rayon brocade, premium metallic brocade and exclusive natural German velvet featuring exquisite embroidery designs. When it comes to Holy Table vestments created from brocades, customers have the choice to purchase the product as it is or select a different fabric belonging to the same class. 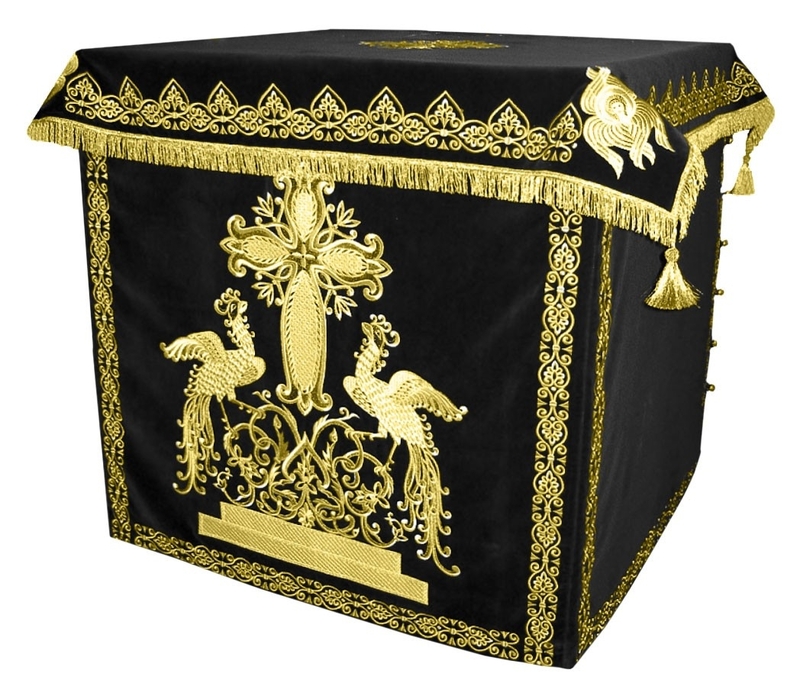 While black-gold Holy Table vestments made from rayon and metallic brocade feature intricate patterns, Holy Table vestments made from natural German velvet stand out with their sophistication. The embroidery, inspired by age old Christian themes, is rendered with utmost care by our specialist embroiderers having deep experience in their field. The Holy Table covers we offer feature crosses and other decorations. Customers can settle for standard decoration which is provided free of cost or opt for premium adornment which is available for an additional cost. We strive to keep pricing as low as possible to make Holy Table vestments more affordable for Orthodox Christian communities around the world. At the same time, we don’t compromise on quality of workmanship or durability. We specialize in created perfectly customized church vestments and extend this service for Holy Table vestments. Customers can make a mention of the size they require in the Notes section while placing their order and we will take care of the rest. We are honored to fulfill your Church vestment requirements. We look forward to receiving your order!